SILVER SPRAY with Zinc - sticks to wound! 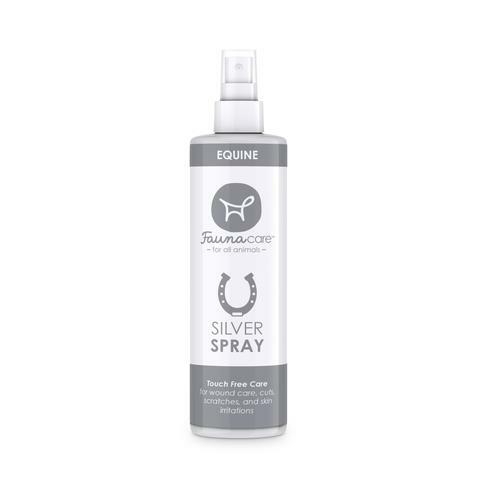 Silver Spray product is perfect for cuts, abrasions, and general wound / skin care. Silver / Zinc combination kills bacteria and fungi as well as providing a deodorizing layer of protection. Easy to apply, no-touch application provides a long lasting moisture barrier for continuous healing in active situations. IT REALLY STICKS TO THE WOUND!!! Don't let the small bottle fool you - we have been surprised how long it is lasting. Touchless Silver Spray combines skin protectant ingredients- 25% Zinc Oxide/20% Dimethicone- with 25 ppm Colloidal Silver. Silver offers unique antimicrobial/antibiotic properties, which are supported by the formula’s moisture barrier ingredients. No irritating preservatives, surfactants, alcohol or fragrances. Our active Silver formula reduces healing time and fights infection. Moreover, ionic/colloidal silver is used for deodorizing and enhancing the healing skin. The product is ideal for large surface wounds that are associated with painful application and post surgery (spay or neutering) wounds. As well as severe case hot spots, rain rot, grease heel and more. This cleared up scratches in a very short time. 2 weeks for our horse. All we did was towel dry the spot and then sprayed it on all around. It was definitely a surprise. We sprayed a few days more just in case, and the skin is back to normal. Worth every penny and we still have some left in the bottle. Don't let the size fool you. We couldn't believe it until we used it. MAKE SURE TO SHAKE VERY WELL BEFORE USE! ANTI-FUNGAL SPRAY - really sticks to wound and skin! THRUSH TIP™ Applicator for Hoof Cracks - finally get rid of the cracks in-between the bulbs, easy to use for egg bar shoes, seedy toe and puncture wounds. WIKSMART "dry all over" cooler with belly and chest panel.